The girls were in the bath the other night and as soon as they got in there, they started arguing and doing things to annoy each other. I was in my room folding laundry and after about the fifth time of hearing things like, ‘Muuuuuum, Ella won’t let me use her moshi monster soap’ or ‘Muuuuum, Kaycee keeps copying me’, I told them to stop annoying each other and just get washed. The consequence of not hurrying up and getting washed was to go to bed without a story because we were running out of time. In the end, I got fed up of being the referee and just shouted at the top of my voice, ‘get out of the flipping bath and get your teeth brushed now, I’ve had enough’. They didn’t manage to stop the bickering completely but at least they did it quietly! 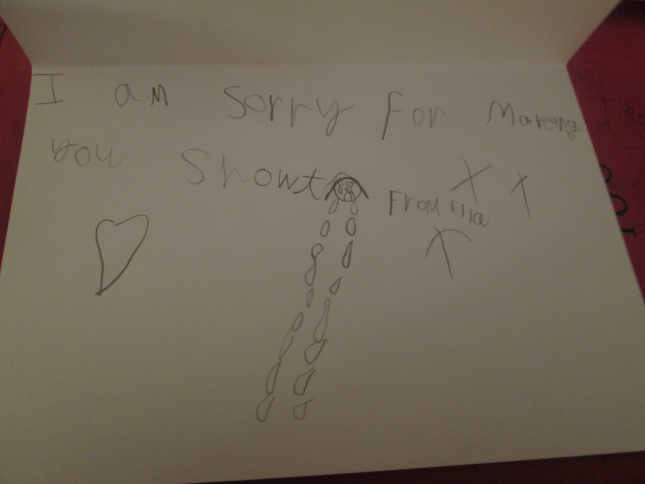 Ten minutes later Ella came in, pajamas on, breath smelling fresh and holding out a card she’d just made. 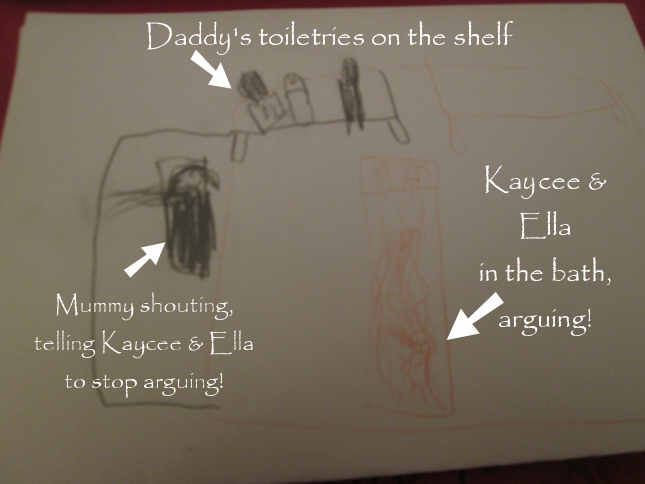 I love that she drew daddy’s toiletries on the shelf and the way she spelt ‘showt’ melted my heart.